It’s one of the oldest adages in the book: imitation is the sincerest form of flattery. So firstly, the Practice Insight editorial team is of course honoured to regularly see our scoops appearing on the pages of certain business dailies. We were equally honoured to hear at a recent event that we weren’t just imagining it. Journalists at a number of other publications, who will for now remain anonymous – at Practice Insight we respect the anonymity of all, sources included – are occasionally inclined to head to iflrinsight.com before that Monday morning pitch meeting with their editor. We thought our readers might be interested to learn this too. From the European Commission approving SFTR’s technical standards to an extensive analysis of Priips and Mifid II’s product governance regime’s teething problems just weeks into 2018: you saw it here first. 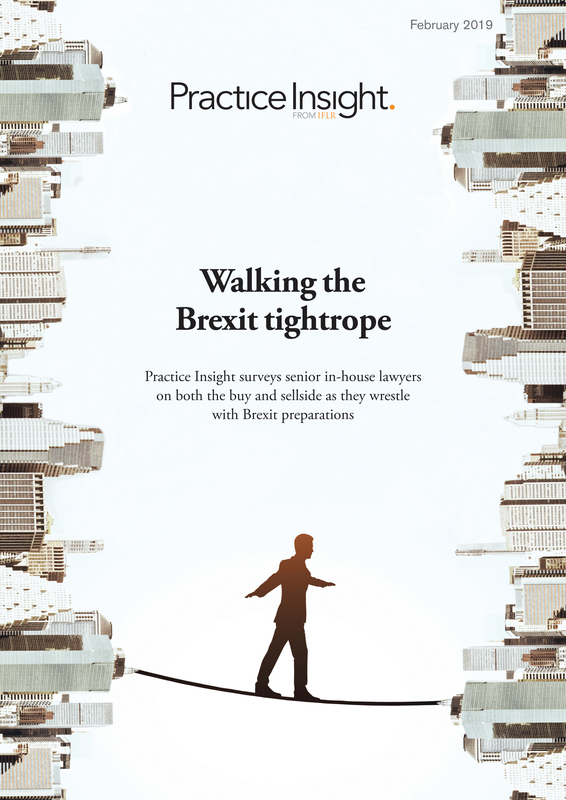 Practice Insight was also the first publication to bring to light the SEC’s stark warning to US banks to prepare for a hard or no-deal Brexit in December; an angle that later appeared on the pages of a publication we had, until then, only considered an indirect competitor. We launched Practice Insight in stages throughout 2018, making our content freely available to all for around six months. With a unique focus on how in-house teams on the buy and sell side are struggling to implement a tsunami of post-crisis financial regulation – including the particularly painful points they’re lobbying regulators on – we’ve found no shortage of topics to cover, and certainly no lack of frustrated regulatory lawyers looking to air a grievance. Born out of IFLR readers’ feverish appetite for our painstakingly detailed analysis of banks’ efforts to grapple with Mifid II’s most pedantic quirks – which remains unsatiated, more than a year later – Practice Insight was the first to truly dive headfirst into the implementation woes of various other upcoming reforms, including the initial margin rollout, European securities financing rules, and global efforts to overhaul benchmarks. With our editorial team growing, we eventually began charging for the service. That, unfortunately, has not stopped our competitors from focusing on eerily similar topics in the days or weeks after we’ve covered it. Readers should be reassured that by then, we’ve moved on to global investment banks’ next regulatory headache, providing only exclusive commentary and analysis on the daily gripes of in-house legal teams, directly from those working in them. But while this copycat approach from competitors may be an amusing distraction for us, it raises a slightly more pressing point for our market. We have a growing list of subscribers at the world's largest banks, asset managers and law firms. These readers can access our analysis when it's written for the first time – by us. Those still relying on certain mainstream business dailies are often getting a watered-down version, a couple of weeks late. In a regulatory environment where definitions of market practice seem to be changing daily, that two-week lag might be a problem next time you’re in front of one of our readers.